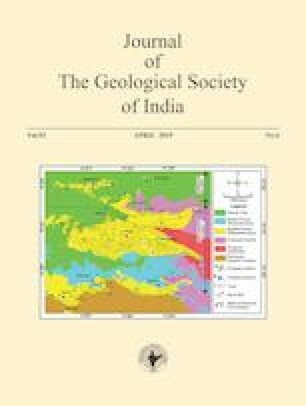 Detrital mineralogy of the sandstone of Fort Member of Jurassic Jaisalmer basin has been investigated with respect to provenance, the influence of palaeoclimate, distance of transport and effects of diagenesis on the detrital mineralogy. Petrographic studies based on quantitative analysis of the detrital minerals revealed that the sandstones are composed mostly of quartz, feldspar, mica, chert, rock fragments and heavy minerals. The detrital modes of the studied Fort Member sandstone, which are indicative of mature stable cratonic blocks and recycled orogen provenance, where sediments are likely to be derived from collision orogen under semi-humid to humid climatic conditions. Petrographic data coupled with the palaeocurrent analysis results indicate a mixed provenance including granites, granite-gneisses, low and high-grade metamorphic rocks of the Aravalli craton.